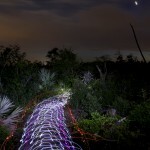 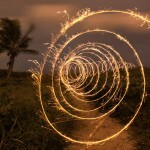 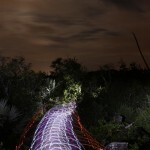 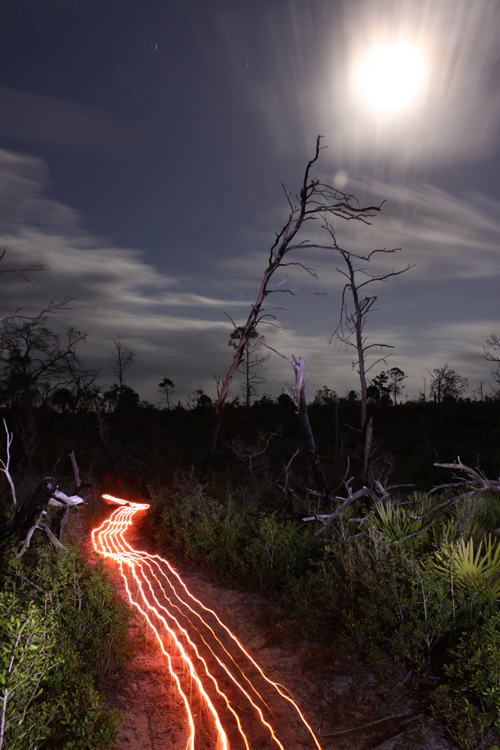 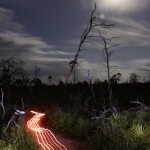 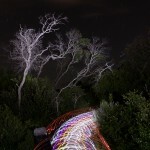 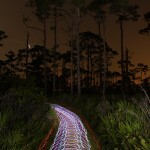 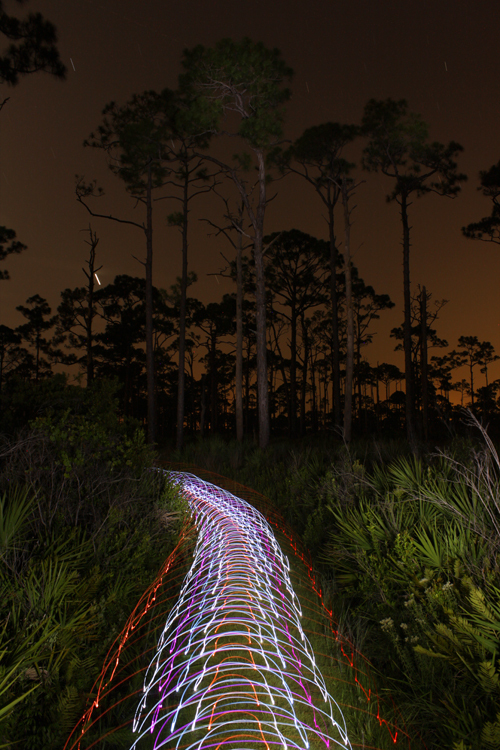 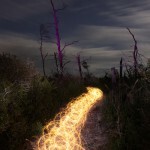 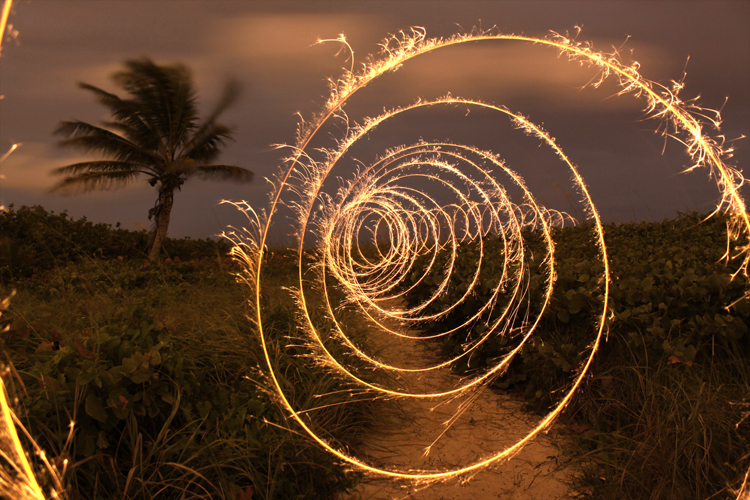 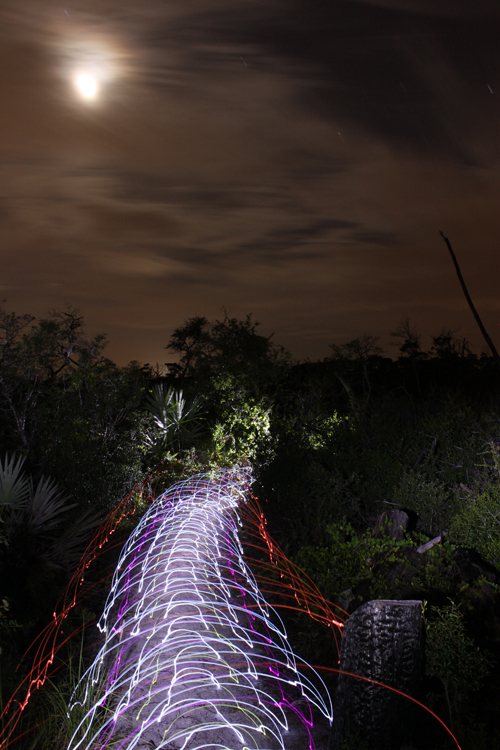 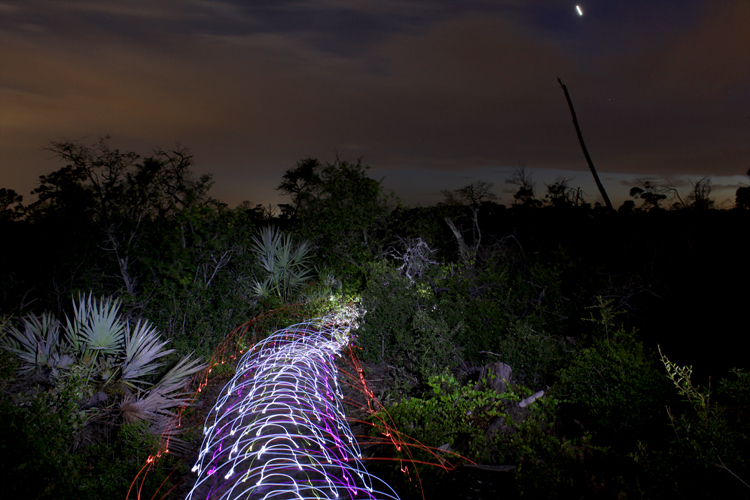 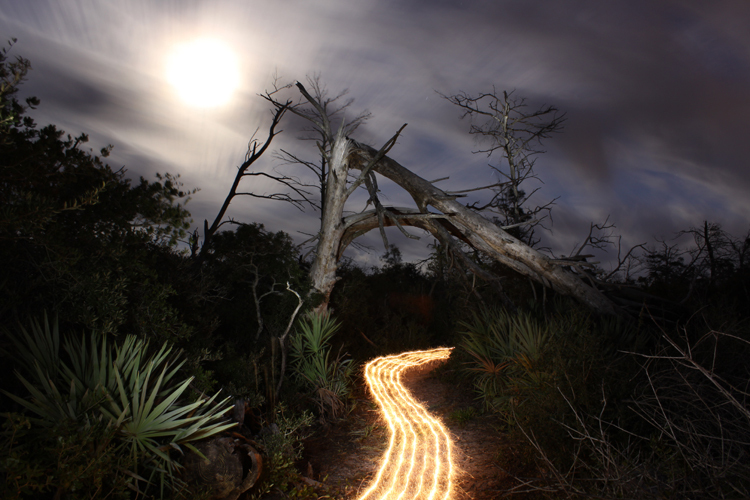 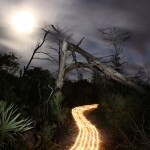 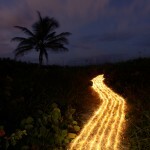 The Light Trails collection is a representation of where light painting currently is (2009-2011). 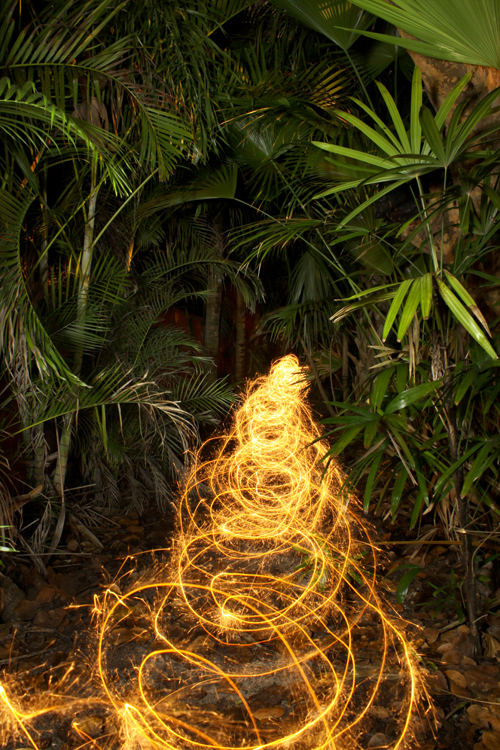 Light painting has been around since 1889 but in its present day form it is in its infancy. 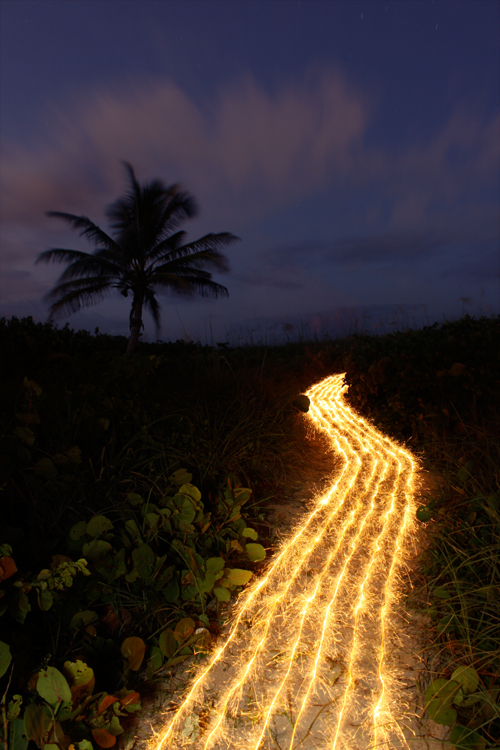 Every few months ground breaking work is being done in my own work as well as from other light painters around the world. 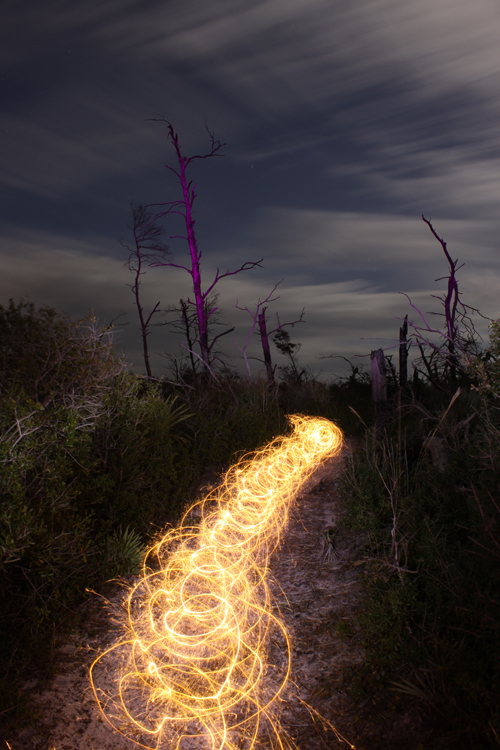 You will see that in the light trails series always has a bend at the end of the path, that bend is because I don’t know where light painting is going to lead but I know there is something truly significant around the corner. 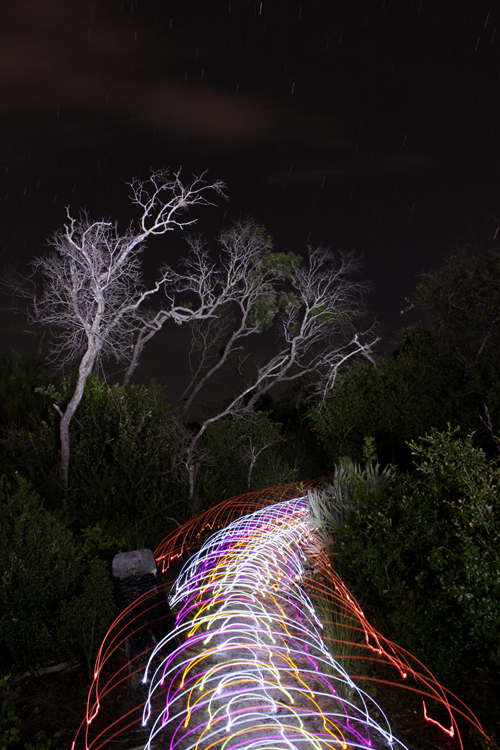 All of my light designs are created in real time and captured to the camera in one single photographic frame. 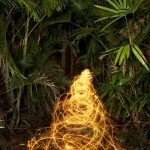 There is no photo editing used to create anything you see in my images.